Is there any inherent pressure for a director when following up a failure, especially when you’ve made a sequel distributed by a studio that’s known for constantly releasing such fare? In the past few years, Sony has been putting out belated DTV sequels to the most random, unsuccessful movies in their back catalog; such as 8MM, Hollow Man (believe it or not, Hollow Man 2 is better than the first one), Bats, Starship Troopers, Half Past Dead, The Glass House, etc. They even started picking up other studio’s financial clunkers to put out sequels to them, too, such as The Art of War, Lake Placid, and Walking Tall. Now sometimes, the sequels had nothing to do with the original and they’d just been retitled to cash in (8MM being a good example, as it was initially called The Velvet Side of Hell). But in a rare case — like The Boondock Saints II: All Saints Day, which is writer/director Troy Duffy’s (you can listen here to my podcast with Troy and stars Sean Patrick Flannery and Norman Reedus) sequel to his own 1999 video hit, The Boondock Saints — the intentions were clear right from the start; Get as many of the original cast members who will participate (even bringing back dead characters in flashbacks) and make sure the fans come see the movie by making virtually the same film all over again. Duffy isn’t wrong for doing this. 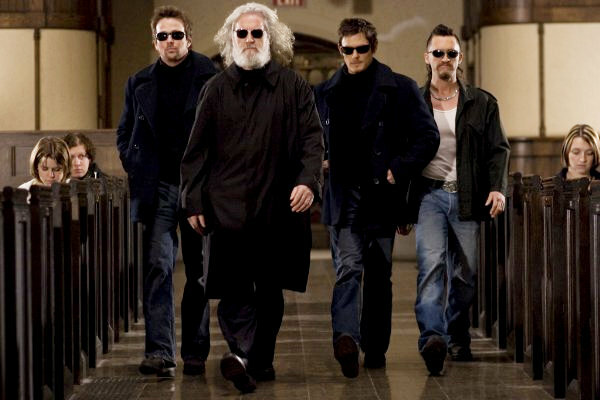 It’s amazing that after Overnight, the 2003 documentary about his rise and fall during the making of the first The Boondock Saints — wherein he spewed venom in all directions, especially toward Harvey Weinstein, and anointed himself king among loyal friends and family — that he was even allowed on the set. Normally, a guy like Duffy would receive a pittance for the sequel rights and production would go on without him; especially in a case like Boondock, where despite the inexplicable success of the original, it took 10 years for a sequel to appear even in the limited theatrical release The Boondock Saints II: All Saints Day is receiving. And while Overnight is sloppy and frequently unprofessional, it’s more introspective and certainly more entertaining than The Boondock Saints*; though they say virtually the same things about Duffy. The Boondock Saints plays like a very low rent and far too late Tarantino/Woo mishmash, with dialogue that expresses that it was made by a hateful, arrogant, oblivious drunk. It was a movie awash in unfunny, self-aware comedy dealing in strained slapstick, pointless profanity and malapropisms, homophobic and racist remarks (theoretically justified by endless utterances of ethnic and national pride and a barrage of knocks at the notion of political correctness, not to mention casting Willem Dafoe as a cross-dressing, gay FBI agent), fat jokes, hellacious overacting, slow-motion shootouts, simplistic plotting made convoluted for no reason, a revenge fantasy mixed with biblical references as though it were a justification, and a nearly unparalleled level of self-righteousness for a movie with such questionable moral content. And, most importantly, it was boring. How is the sequel different or better? It isn’t. It’s just as overlong, just as filled with gay jokes and gay panic, racial slurs, Keystone Kops humor, ethnic pride, self-satisfied dialogue and directorial choices (“what kind of line should I say after I kill these guys?”), slow motion gunfights** with little to no variation, misguided biblical references, obvious concessions in casting (Judd Nelson as… a mafia Don), and just as badly pretending it was shot in Boston (“We didn’t shoot in Canada. Really!”). Replacing Dafoe in the role of the FBI agent sympathetic to the McManus brothers’ violent ways (they are lured back to the US after years of hiding in Ireland, because a much-loved priest was murdered), is Julie Benz, whom Duffy unsuccessfully tries to objectify. Benz (primarily known as the girlfriend on Dexter), with dyed strawberry blonde hair, a hackneyed Southern accent, and an attitude (“I make smart people feel like they’re retarded”), seems modeled on Holly Hunter. (Holly Hunter, but with quite a bit of Kyra Sedgwick’s hammy lead character on The Closer, which, with Hunter’s own Saving Grace, proves that Duffy likes his reruns on TNT). Like the first film, Duffy has Benz walk through the crime scenes, recreating how the McManus’ dispatched their foes, even before the audience has seen it***. This seemed almost clever in the first film, as the brothers were new to the killing game and sloppiness was likely. But it was very routine once you realized it was just a gimmick so that Duffy could show the same action sequences more than once from different angles (he loves those squibs). By the sequel, we’re supposed to accept the brothers****, as pros. It’s like showing the audience the storyboards. At least we can actually figure out what’s going on in the action scenes. Once again, Duffy has overcomplicated the plot. The story involves a mix of gangster clichés, as you’d expect. But why there needed to be Italians, Hispanics, and Irish factions is unclear. Maybe the idea was to pander to specific ethnic groups? This confusion continues in trying to figure out the needlessly convoluted flashbacks, showing us how Billy Connolly, reprising his role as the paternal McManus, came to be such a ruthless contract killer. His partner in crime is a crippled Italian stereotype, also a former factory worker (it’s where all ethnic stereotypes work) and is played by… Oh, it’s supposed to be a secret cameo, but it’s pretty underwhelming, and he gives an awful performance that seems 100% post-dubbed (“you were born a keellllerrr”). Not that surprises were the point of the enterprise*****. Sony insisted critics sign a confidentiality agreement before entering the screening, promising not to reveal anything about the film at all. So The Boondock Saints II: All Saints Day is likely very close to the movie Duffy intended to make as it contains the same wildly incongruent tonal shifts of the first film. The melodrama is back in full force, as with a moment where the brothers tear up while trying to reassure an about-to-be fallen comrade that “help is on the way,” even though we can plainly see it isn’t (one of a handful of unintentional laughs). This segues into another scene of “cool” action poses and religious imagery (did I just hear biblical techno music? 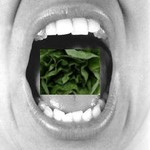 ), and one scene after another that pretends to look down on ignorance but completely parades in it instead. 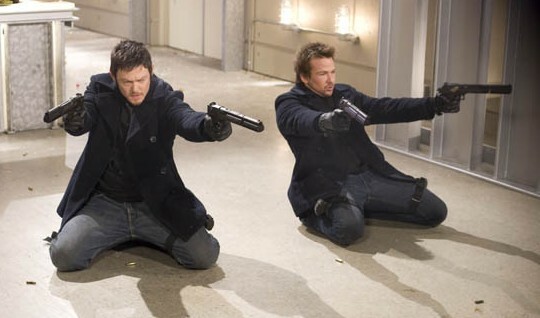 Sitting through The Boondock Saints II: All Saints Day makes smart people feel like they’re retarded. * Which is about two Irish brothers in Boston who take it upon themselves to wipe out as much of organized crime as they can. ** One of the few pleasures All Saints Day offers is a scene where three gangsters are blown away in an elevator and — as bullets hit chests the actors try to look like they are falling backward from the impact — they are betrayed by the constant slow-motion effect because you can see them walking backward, step-by-step, as opposed to dropping to the ground. 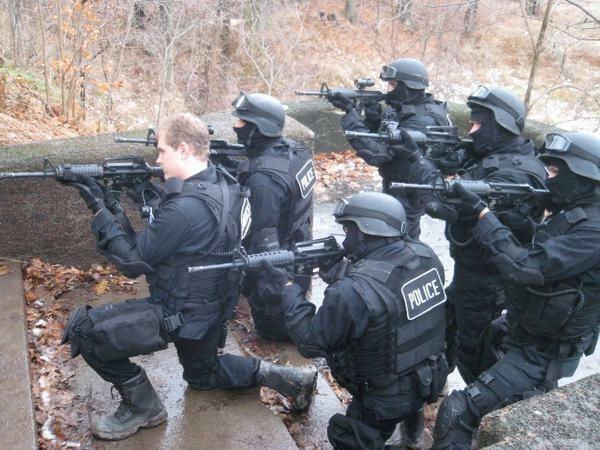 *** Well, we do see one version of an action scene as designed by the brothers before they’ve actually performed it. It’s a very strange sequence done as a blaxploitation parody, and as out of place as it sounds. **** Once again played by Norman Reedus and Sean Patrick Flannery (who, ten years later, looks just like Gary Oldman circa The Professional/Leon). ***** Can Duffy be congratulated for making a stylistically identical sequel to a movie that was dated by about five years in the first place? 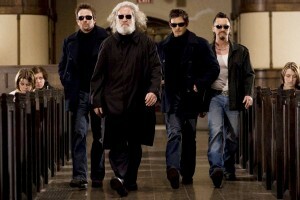 Does that make The Boondock Saints II: All Saints Day so kitschy and lame that it’s suddenly cool? In a few months, will I see All Saints Day shirts in upscale thrift stores and retro boutiques? This entry was posted on Friday, October 30th, 2009 at 12:00 am	and is filed under Action/Adventure, Comedy. You can follow any responses to this entry through the RSS 2.0 feed. You can leave a response, or trackback from your own site.